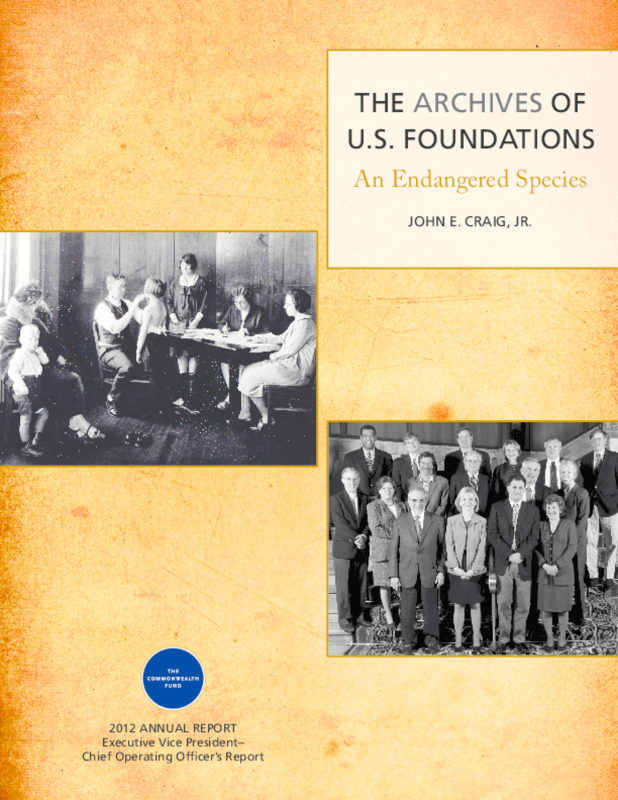 by John E. Craig, Jr.
A foundation's archives preserve records of the programs, activities, products, governance, people, and history of the organization that may have enduring cultural, historical, research, or institutional value. Ideally, an archive should be part of a comprehensive records management program consisting of a records policy, a short-term records retention schedule, and an archive collection policy. As important as archives can be, little has been written about them in the foundation management literature. In truth, the creation and maintenance of archives, if undertaken at all, is typically an afterthought, and rarely considered a key information management responsibility. As the U.S. foundation sector matures, more attention must be paid to the retention and safekeeping of records that are important to historians who document not only the work, people, and institutions that foundations support, but also the very foundations themselves. Using data collected on the 300 largest U.S. foundations through a survey commissioned by The Commonwealth Fund in fall 2012, this essay reports on the current status of archiving in the foundation sector and recommends ways to improve policies and practices in an area that is too often overlooked. Authors John E. Craig, Jr.